Culturalist Challenge! Which 2018 Emmy-Nominated Series Should Become a Musical? 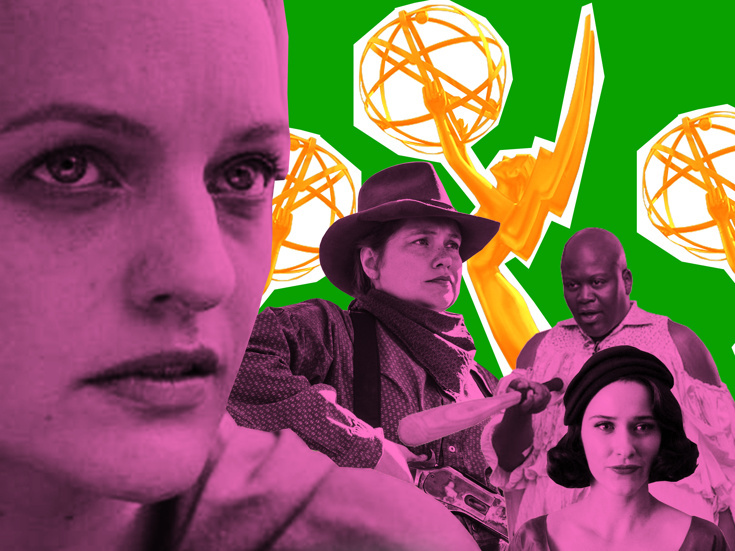 Elisabeth Moss in "The Handmaid's Tale," Merritt Wever in "Godless," Tituss Burgess in "Unbreakable Kimmy Schmidt" & Rachel Brosnahan in "The Marvelous Mrs. Maisel"
The Broadway.com staff is crazy for Culturalist, the website that lets you choose and create your own top 10 lists. Every week, we're challenging you with a new Broadway-themed topic to rank. The 70th Primetime Emmy Awards is happening on September 17, and we're all waiting to see who takes home the trophies. We already asked which Broadway alum you're rooting for to win an Emmy, but now it's time to pick which of the Emmy-nominated TV series you would love to see transfer to the stage. National Editor Ryan Lee Gilbert has kicked off this challenge and now it's your turn to choose the top 10 Emmy-nominated series you think should become musicals.